Gold in the Net is recognized as a world leader in setting the standards for the development of hockey goaltenders. Our dominant presence spans across not only Eastern Ontario and all of Canada, but includes franchises in Finland and Sweden. The company also boasts the world’s largest and most comprehensive goalie instructional DVD series. 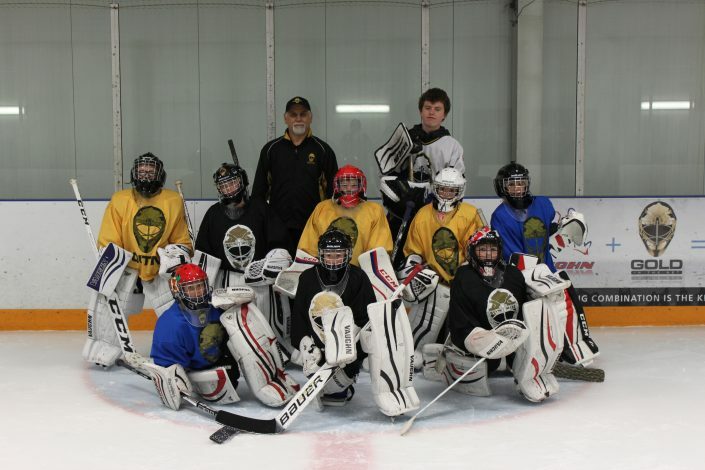 As a company, Gold in the Net facilitates more than 50 weeks of summer goalie camps world wide, working with in excess of 2,500 goaltenders in the summer time alone. Gold in the Net Trains More Goaltenders World Wide Than Anyone! 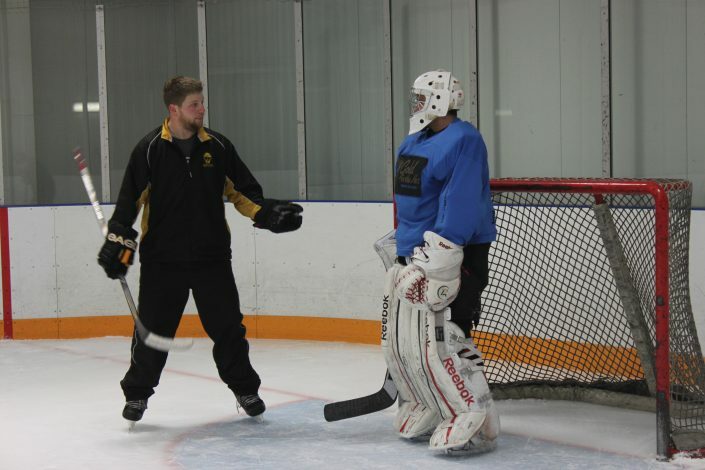 Gold in the Net Ontario offers expert goalie training and support at our year round (real ice!) training facility in Brockville, Ontario allowing high-calibre goaltender training without the challenges normally associated with booking prime time arena ice. Our ice surface measures 60 feet by 40 feet and we have our own specially-designed Olympia mini-ice resurfacing unit. Goaltending is the single most important position in hockey. It has been that way through every era and continues to be an evolving position. The necessity of young developing Goalies to learn the skills necessary to compete has never been greater than it is today. We know it’s a hard decision with who you work with to improve your skills. We teach the fundamentals up to the most intricate styles and help goalies develop good habits needed for this very specialized position. We also understand what goalies go through and have mentored many goaltenders through the highs and lows that come with playing this pressure filled position. Make a strong decision and go with Gold in the Net! We will help you be the best you can be while getting you to the next level. “The will to win is easy. The will to PREPARE to win is difficult.”. Goaltending is the greatest position on the ice and becomes even GREATER as a goalie’s knowledge, skills, and abilities improve. Gold in the Net goes the extra mile to improve ALL the vital goaltending skills necessary for our students to excel to the next level. 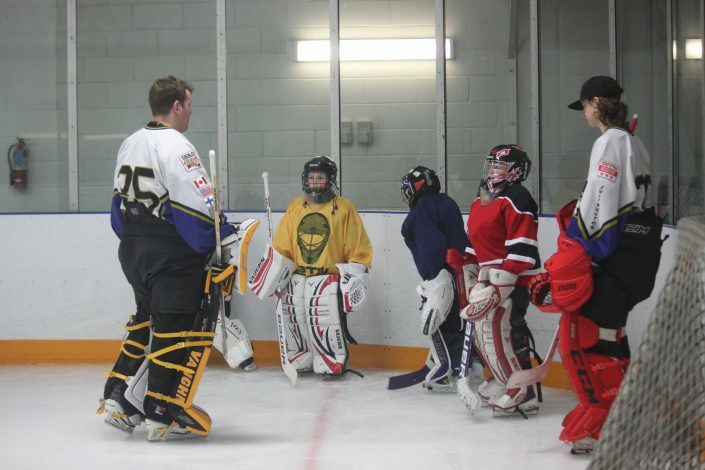 Experience our commitment to developing our goaltenders skills!